The tense of a verb indicates when the action is carried out. For a good understanding of English grammar and writing, you need to distinguish between different verb tenses and know when to use each tense. 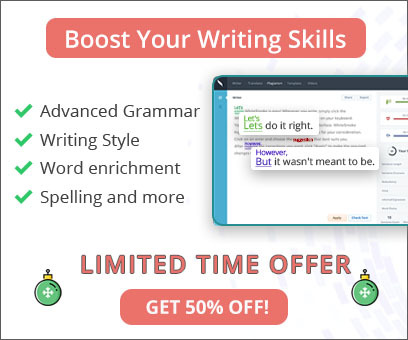 WhiteSmoke's grammar checker can do this for you automatically, and these three tips will help you learn verb tenses for manual proofreading and editing. There are three basic verb tenses: simple present, simple past, and simple future. The verb form for simple present tense is simply the verb’s basic form, such as ‘go,’ ‘eat,’ ‘walk,’ and ‘run.’ These indicate that the action is done in the present. The simple past tense indicates that the action was done in the past, while the simple future tense indicates that the action will be done in the future. There are other tenses, such as the perfect tense, the progressive tense, and the perfect progressive tense. These can be quite complicated to discuss, but your study can be guided by software for ESL learners. 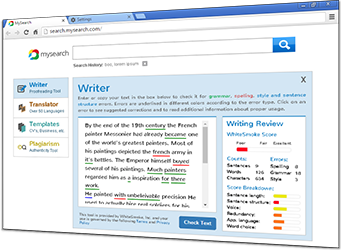 Check for shifting tenses within your sentence or your paragraph. As a general rule, the verb tense you are using should be consistent throughout your sentence and your paragraph. For example, the sentence “We had eaten (past perfect tense) dinner, and then we talked (simple past tense)” should be written as “We ate (simple past tense) dinner, and then we talked (simple past tense)”. Verbs change form when they are used in different tenses. You should familiarize yourself with the different verb forms for each tense. For simple past tense, the general rule is to add ‘ed’ at the end of the verb, but this does not apply to all verbs. For future tenses, the verb is accompanied by the words ‘will’ or ‘shall’.